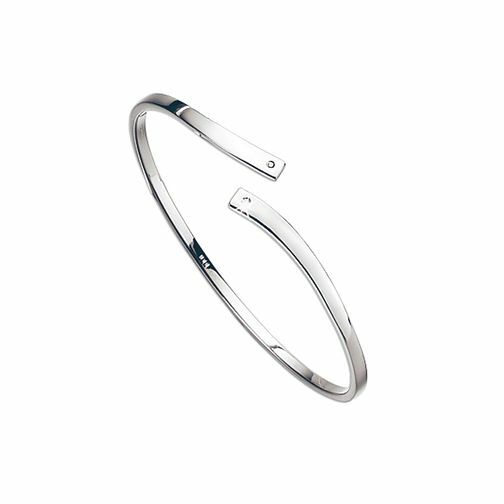 Be cool in Hot Diamonds with this stunning sterling silver diamond set bangle. Hot Diamonds Sterling Silver Diamond Set Bangle is rated 5.0 out of 5 by 2. Rated 5 out of 5 by Anonymous from Very elegant Gift for a 70th Birthday, it is very elegant and understated but beautiful made. Really like the cross over with a diamond in each end.